Due to the handmade nature of this product, please allow an additional 3-5 days for processing. 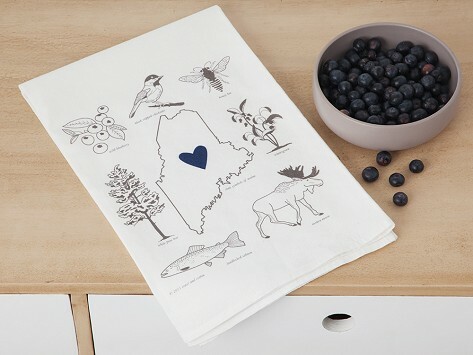 Showing off the beloved symbols of each state, the Love My State towels feature simple, sophisticated designs. Made of 100% flour sack cotton, absorbent, and durable, these large towels are meant to be used and enjoyed. Unique assortment of official state symbols (plants and animals) pictured. Love these towels, well made, don't want to use them, they are just for show !! Love them!I just love the design and the quality of the towels. These will be used as Christmas gifts for family living overseas. Every place you’ve lived has helped you become who you are. Why not show it off? 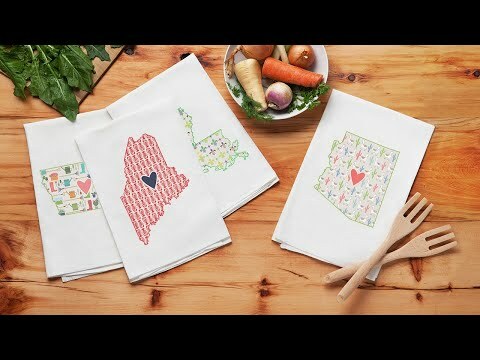 Hometown custom towels from Coast & Cotton beautifully depict the love of where you’re from, where you raised your family, or where you call home. Founder Sydney Hewitt graduated from Auburn University with a degree in industrial design. She and her husband, Will, were a military family and moved regularly, giving Sydney the idea for designs that celebrate states. Creating these nostalgia-channeling tea towels turned into a full-time job, and Coast & Cotton was born.